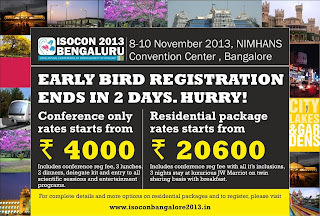 Last 2 days to go for EARLY BIRD registrations to close. Register now to avail discounted registration rates. Reg rates to be revised from 1st August 2013. 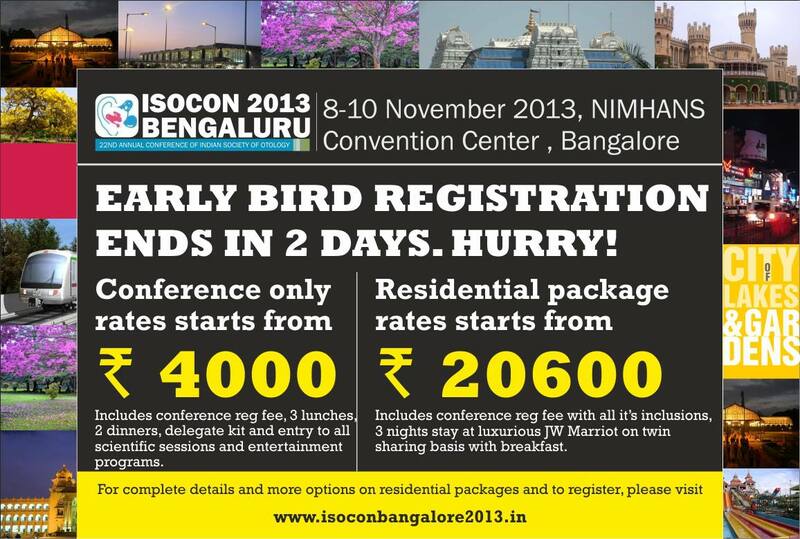 To register, please visit www.isoconbangalore2013.in.